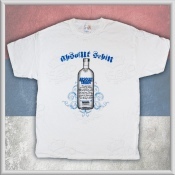 Za Kralja i Otadzbinu t-shirt with stylized Serbian eagle on the chest and "affliction" looking d..
ABSOLUT SRBIN t-shirt with stylized ABSOLUT SRBIN lettering on the top and Absolut bottle with "r..
T-Shirt that every Serbian kid should have. 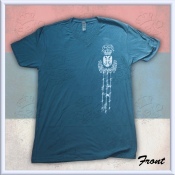 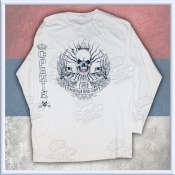 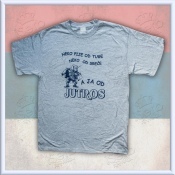 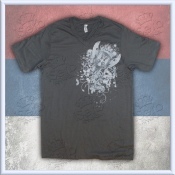 SRBIJA t-shirt with stylized Serbian eagle on the bac..
V-neck SRBIJA t-shirt with stylized "barb wire" design on the front left and the smal..
"Neko Pije od Tuge" t-shirt with Navy color print on the front of the Gray t-shirt. 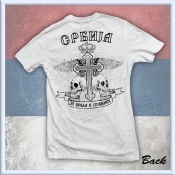 100% ..
MY ALPHABET t-shirt with "This is my alphabet" saying and Cyrillic alphabet (AZBUKA) on the front..